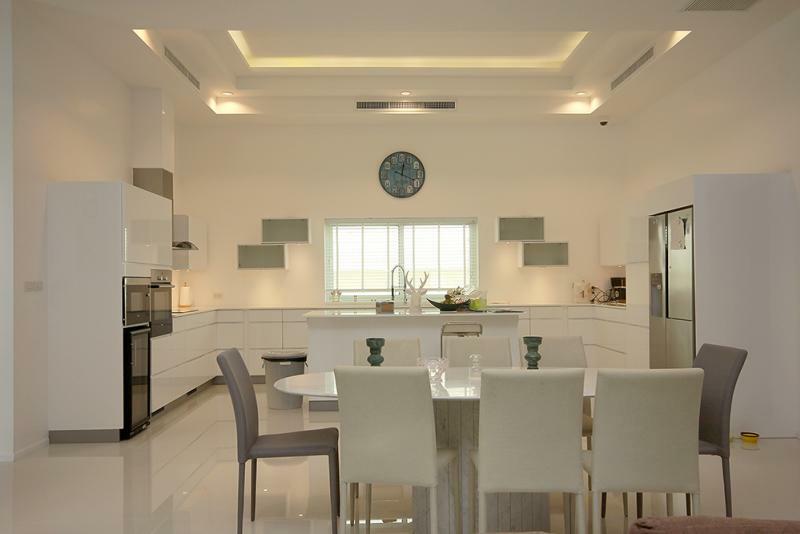 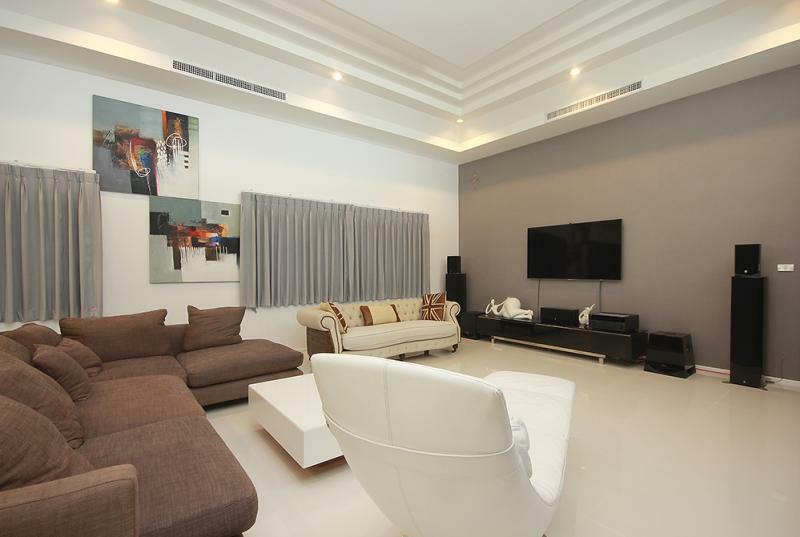 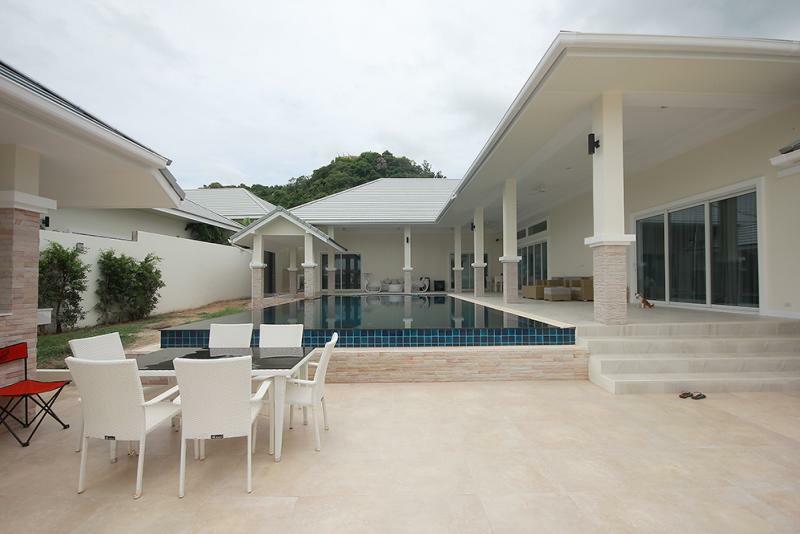 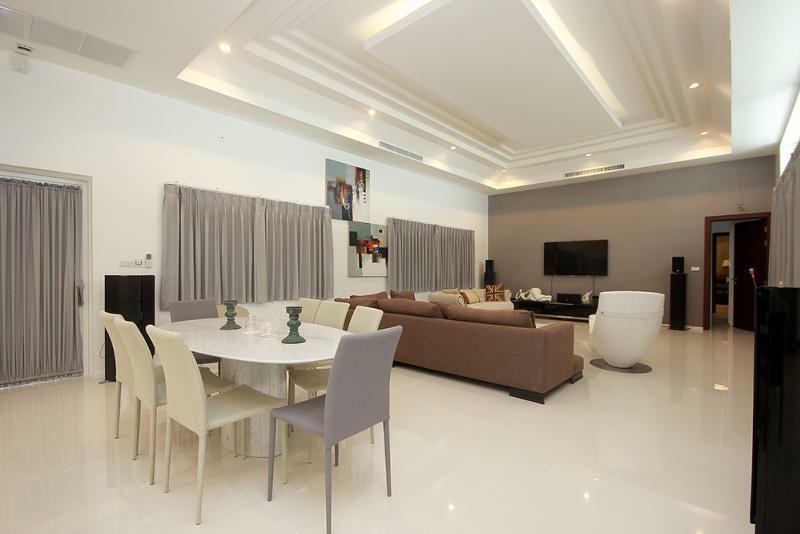 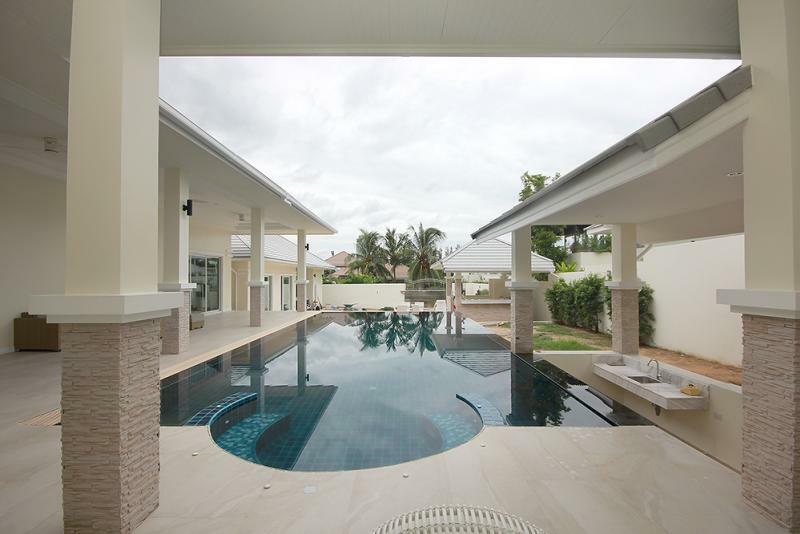 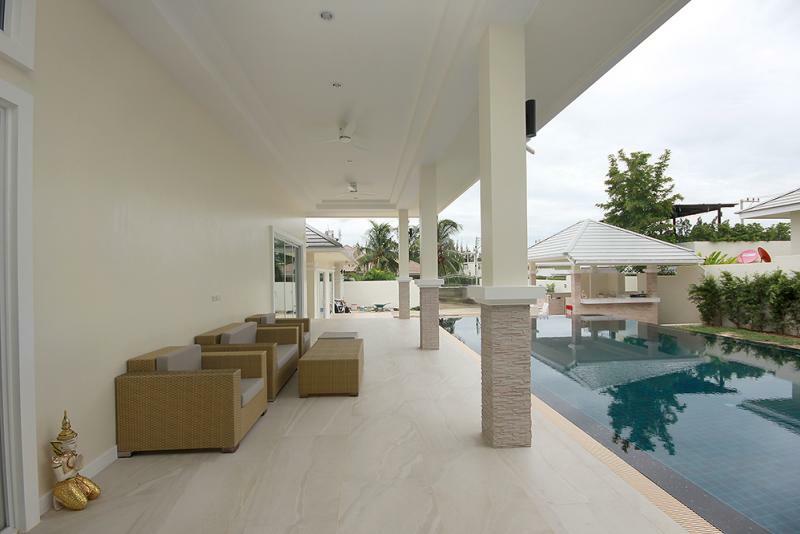 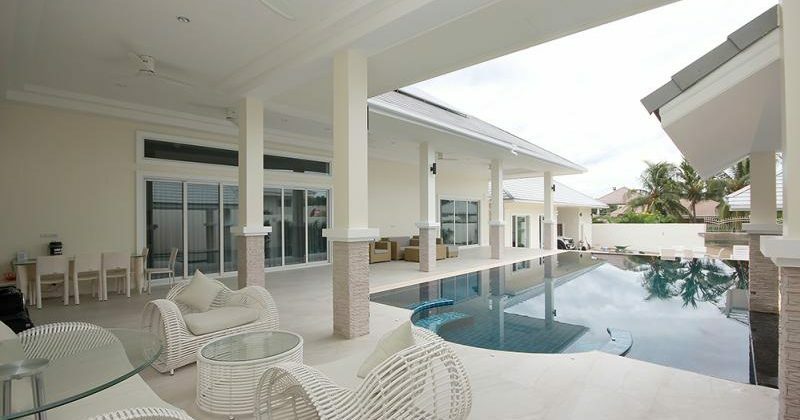 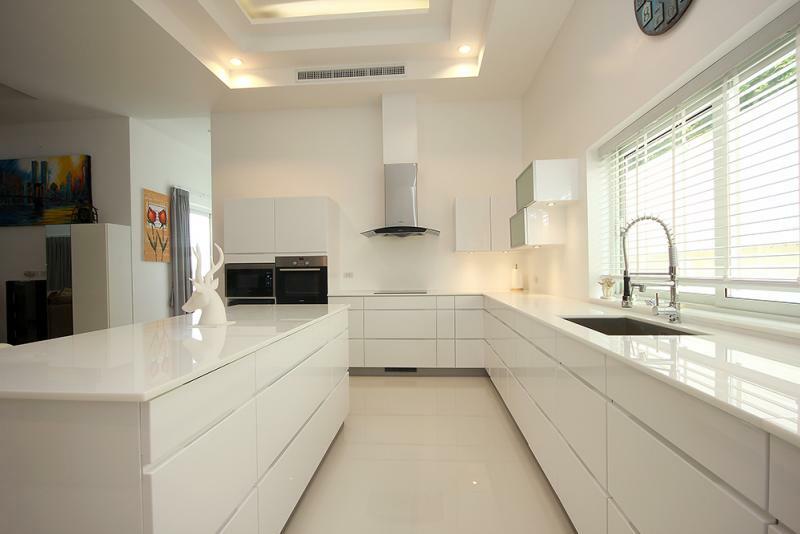 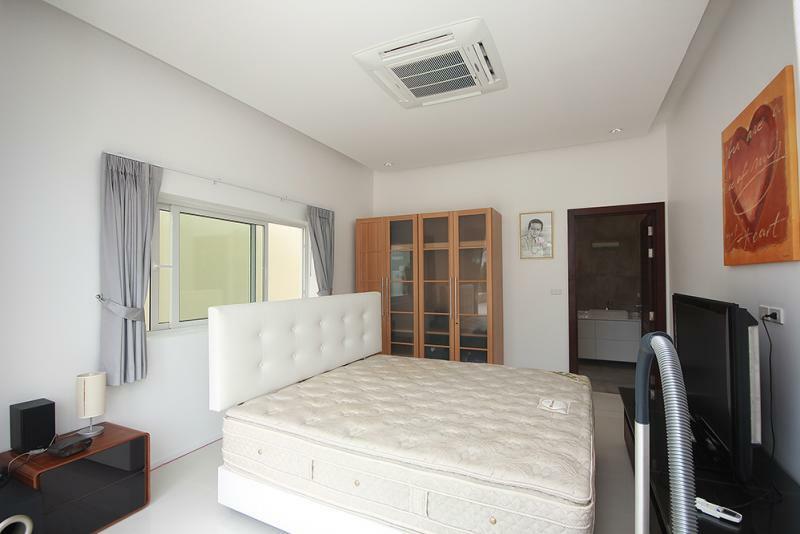 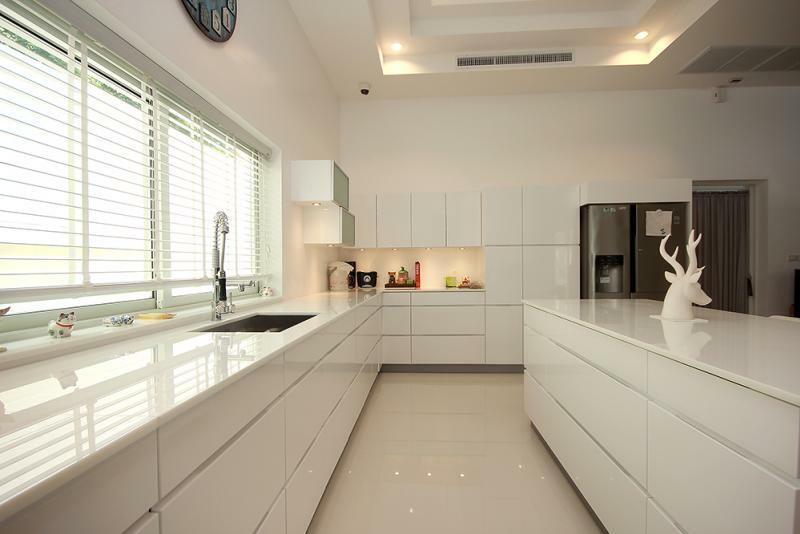 A brand-new beautiful house for sale come with 6 Bedrooms 7 Bathrooms, living area 523 sqm and land area 1070 sqm and well maintained luxurious home, situated in an exclusive estate only 3 kilometers from Hua Hin city centre. 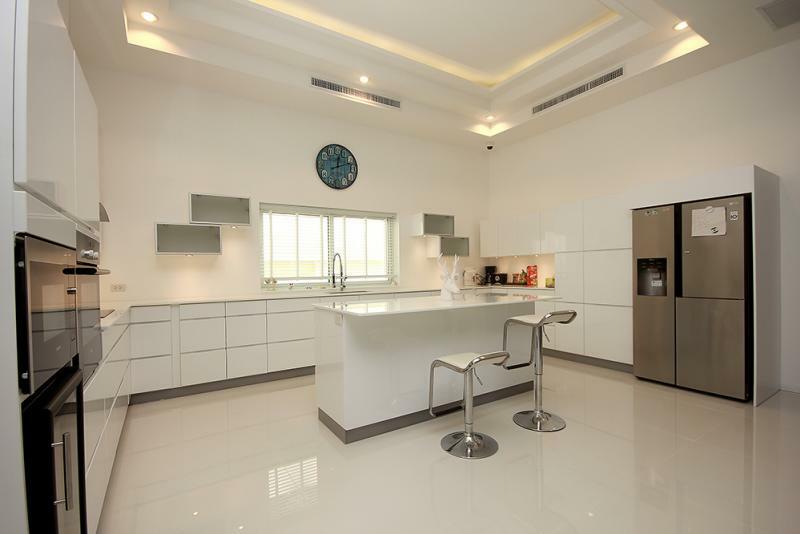 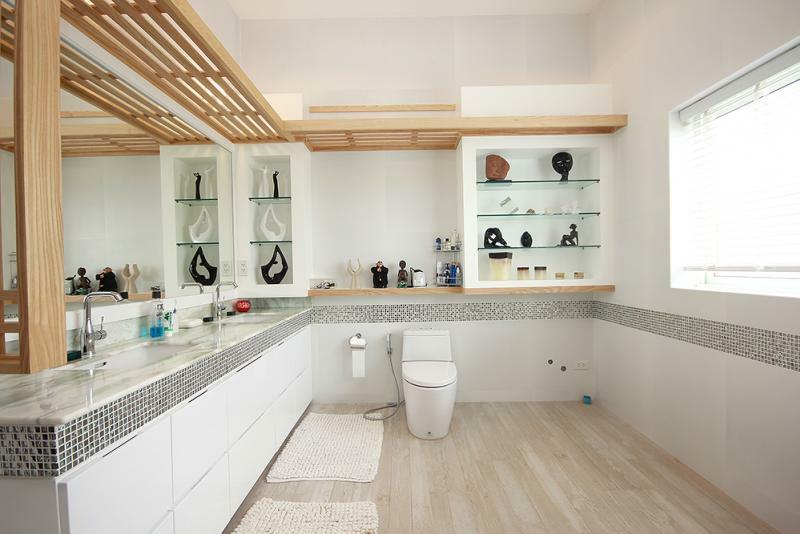 This house has a light and open feel and is well presented with all true modern conveniences. 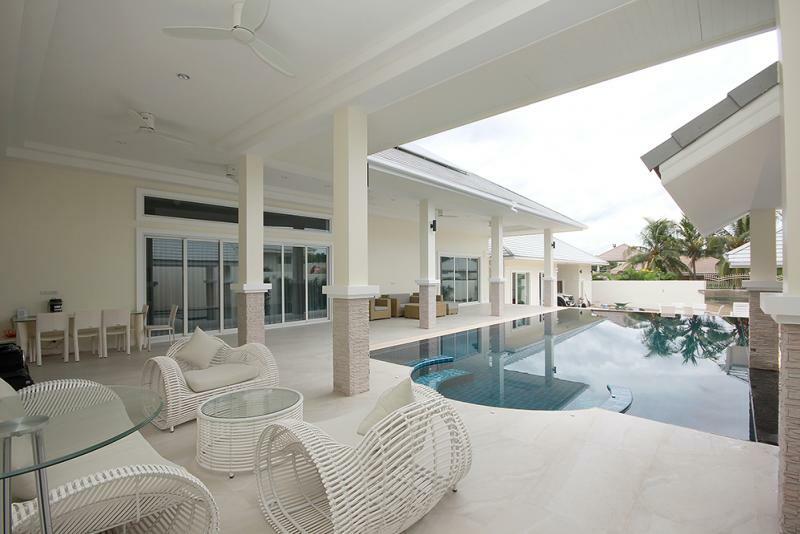 The beautiful tropical garden is well stocked with mature plants and large private swimming pool. 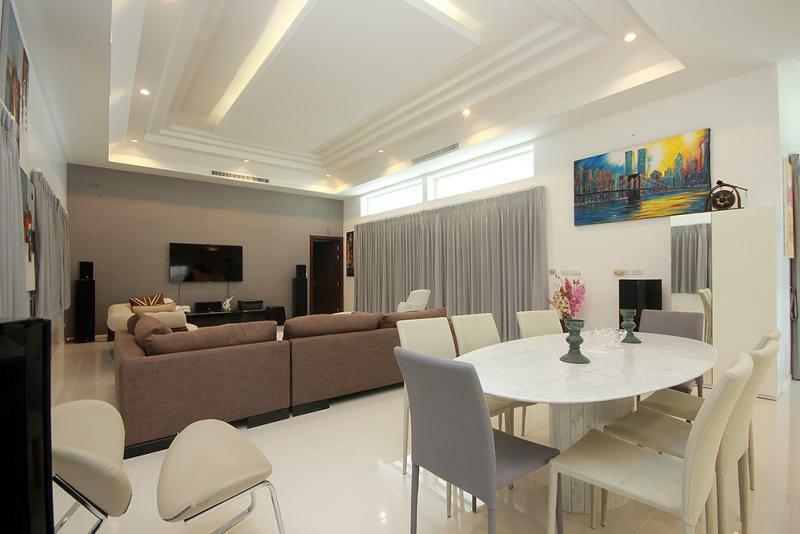 The living area has been finished to modern and high standard with a fitted European kitchen with western appliances,a smart home with solar system complete automated home. 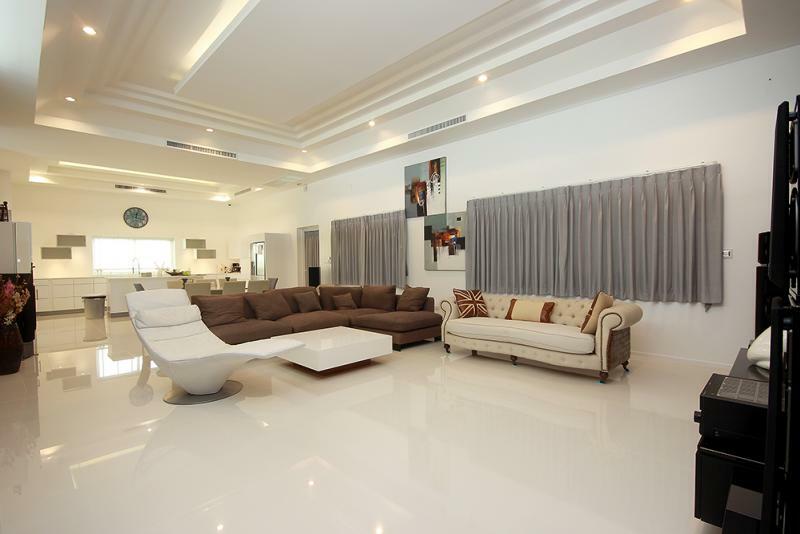 This luxurious home is on a large plot and should be viewed to appreciate.